In our society most of the people are unconvinced about composting. Why would anyone want a big pile of rotting food in their yard or home? But composting is good for everybody. Here in this instructable we will see about the myths and pros of composting. What people have to say about composting? What composters have to say about composting? Fewer compostable in the landfills mean less landfill mass. Reducing the amount of stuff in our landfills directly affects all of us. When they try and build new landfills, they may try and build it in your backyard. Which is worse? A bucket of compost or a nearby landfill filled with rats? Why buy something you can make for free? Are you trying to keep up with your neighbors and their extravagant lawn? How much money do you think your neighbor pay to have such lush grass? You can have superior soil without paying a dime by composting. Composting creates a healthier garden with better soil, and you'll be using a superior fertilizer. In the end, you'll be able to grow more and better crops for less money. If you're going to garden, why not do it right? Here is the most eco friendly and long term solution to get better compost without the hassles. 1. 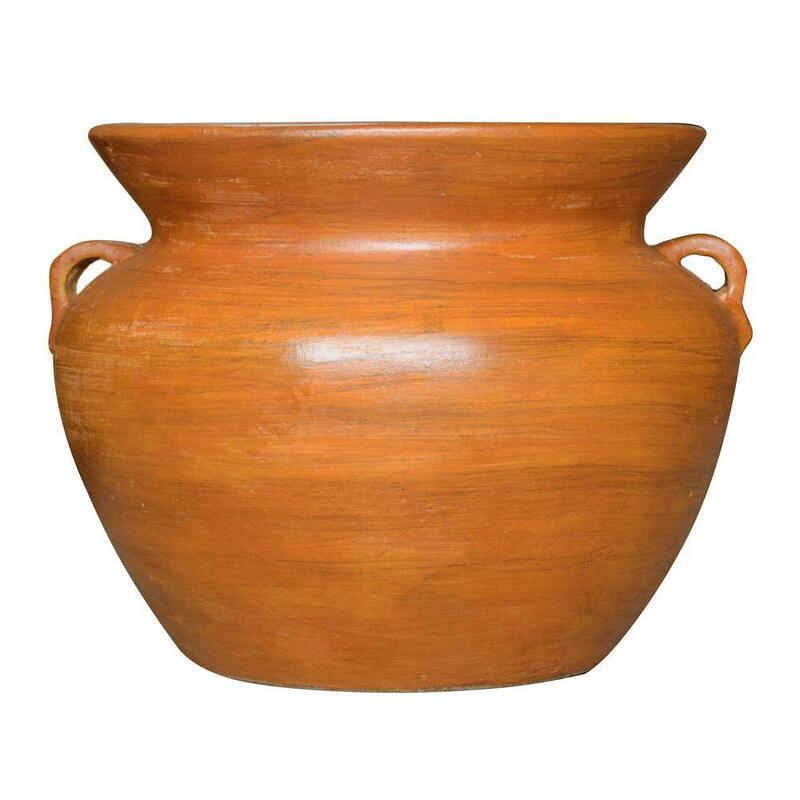 3 Terracotta pots at least 1 feet height and size such that they can stand one over the other without getting inside. Take 3 terracotta pots (Pot A, B and C) and drill holes (1 inch diameter) on the sides. These will be used for air circulation. Also make large holes (3 inch diameter) on the base of 2 of the pots (Pot A and B). These holes will be used to drain leechate. Make sure you leave the third pot without hole in the bottom. This pot will be the bottom most pot. Stack the pots one over the other. Make sure that the bottom pot (Pot C) being the pot without the hole in the bottom. Put a layer of newspaper in the pot A and Pot B so that the materials other than water do not drop into the layers below. Cover the composter with the terracotta lid to prevent rodents or flies. Your composter is ready to compost. Put the composter in an airy place such as garden or terrace to increase air circulation this increasing composting process. Separate kitchen wastes into compostable and non compostable items. Save the compostable items for the day. At the end of the day you can add the composts in the composter. When the Pot A is 3/4 full, switch the Pots A and B. And start adding the materials in Pot B which is now at the top. When the Pot B gets filled 3/4 the ingredients in Pot A has shrunken. The final contents of Pot C starts shrinking and thus more materials can be added from the middle tear Pot to Pot C.
When Pot C gets filled 3/4 empty the pot before starting to fill the Pot C again. At this point the contents of Pot C has decomposed completely. Sieve the contents of Pot C and you get perfectly good non-smelling manure (compost). The larger pieces that are left after sieving can be added to the Pot at the top for further decomposing. Keep the compost little damp by sprinkling water in the upper Pot occasionally. The whole process takes around 90 days. Why is the terracotta pots used? We are using the terracotta pots to absorb the excess humidity and fluid which is secreted during the composting process. Why are the Bottom holes? The bottom holes are used to drip and pass the excess fluid to the collector Pot (Pot C). What about mosquitoes or flies? No mosquitoes or flies have appeared in any of my composters. The only insects appearing are fruit flies which live happily inside as long as their food is inside. Fruit flies help speed up the composting. The terracotta pots can be colored to add to the looks of your terrace garden. Make sure that the pots do not get totally drenched by rain or over watering or else the composter freaks out and composting process gets out of hand. Not at all. The holes drilled on the sides circulates ample air to keep it fresh and healthy. Terracotta pots can be colored. Sell the compost! Better! Gift it to a Gardener friend. Ever body can do it! Do it to save the land fills. Less land fills means more trees! ust takes 1/2 a day to setup and it sustains by itself. You can do it on the terrace, or near the window! Where can I buy this terra-cotta composter collection in the US? Can it be shipped to me? I was looking for this composter since they are pretty and most of all functional. And it is space saving in NY apartments. I have been using the terracotta composter for the last 3 months, I'm extremely happy with the outcome of the compost, which was totally dry. To my surprise there is no insects, flies and rotten smell. Initially i was hesitant to keep it at home. But now I recommend this to all urban houses to install this. Leachate is liquid. So, is there a provision for its drainage in the Khanna? What do you use to drill the holes? I've used 3" wood bits -- and it's not all that easy to drill a clean hole in wood with them. Is there a 3" masonry bit? Do you have to go to a special store to find one? Do you drill a pilot hole first? How do you keep the bit from skittering around when you're starting the hole? I did the holes with a screwdriver and mallet, chipping of small parts. The hole should not be regular. Just big enough to drain the leechate (fluid). Wetting the pot and making few guide holes before punching makes it easier. Use a file to finish the holes if you require a good finish. Wow, that sounds kind of labor-intensive and pot-cracking -- but comfortably low-tech. Thanks for the clarification. I don't have much tools. So I improvise. The pots won't crack. Just make sure you don't blow hard. It looks functional and cheap when compared to dailydump products. But my terracotta pots were broken when drilling holes. If we use plastic containers, leaching of toxins may occur(I don't know much about this but heard/read somewhere). So can you please suggest any tips in making holes for these terracotta pots? All other instructions are very clear.Thank you. You need different bit to drill holes. one which is not pointy. it kind of sands the surface and makes the hole. the ones used for drill glass/tile etc. Can you suggest store/chains that have big and reasonable price terracotta pots that can be used for this type of composting? In India we get the pots from our street-corner gardening store. According to the instructions, the pots should stand one over the other without getting inside. But that is not the case for the Walmart clay pots so I am getting confused here. According to the instructable pitchers work best. If you use other designs of pots, you need to make something that will hold them and place them one on top of the other. My idea will be wooden rings which can be placed on top of the pot without falling inside and the base of the pot can sit on it too. Check this out for the original design. Very attractive system. Much nicer than my stacking 5 gallon buckets. It could also be used for vermicomposting as is my bucket system. .
Vermicompost works beautifully and speeds up the compost process like turbo charge! thanks for sharing. but 'daily dump' also provides compost accelerator. did u use one?